This was our first vacation at an estate resort. We traded walks on the beach for strolls through wooded fairy villages, hunting crabs for holding falcons, and flip flops for wellies. We’re hooked. Have you ever had a happy owl shake her tail feathers back and forth perched on your wrist? Add it to your bucket list. The K Club is short for the Kildare Club, and County Kildare is the horse racing capital of Ireland. 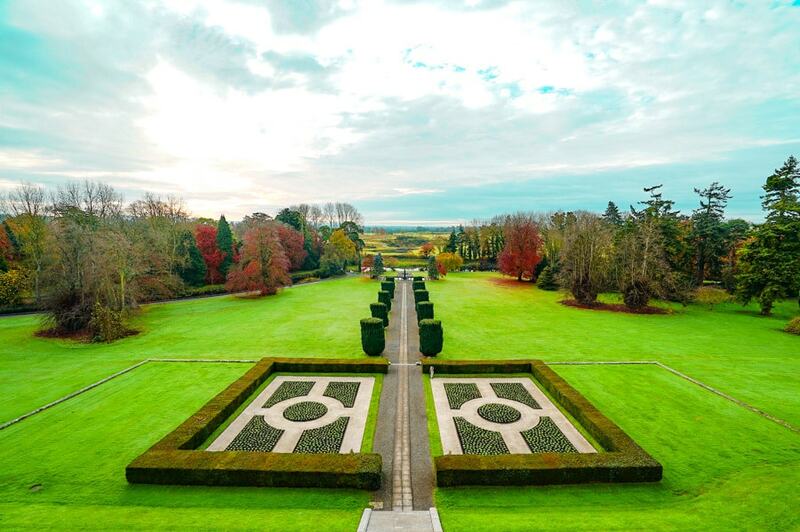 While the western counties are known for some of the most famous Irish castle hotels, The K Club address is unique in that it is one of the few 5-star resorts that is within easy reach of Dublin and Dublin’s airport, approximately a forty-minute car ride. It’s located in the town of Straffan, near the eastern border of County Kildare. It was the very first 5 AA Red Star property in Ireland and is a Legend property with Preferred Hotels. 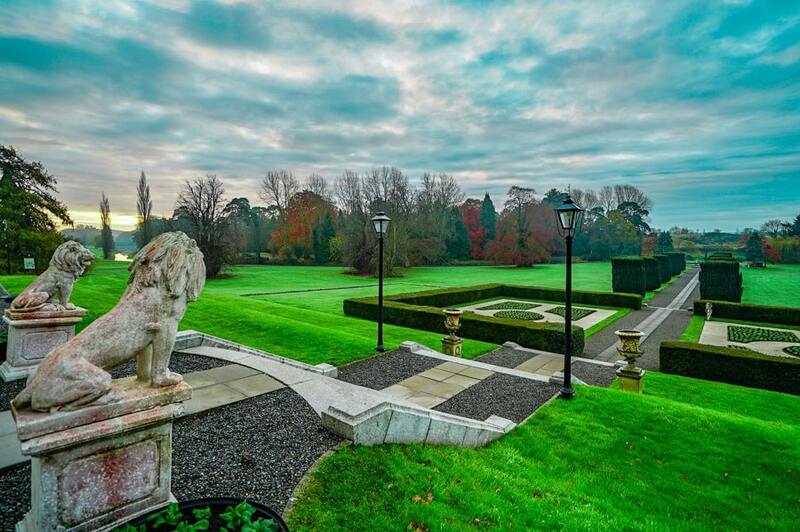 While the K Club only opened as a hotel in 1991, the property has a rich history whose legacy is traced to the 6th century. But the history of the K Club is tells the story of the role Ireland played in the development of the Bordeaux wine region. Starting in the 18th century several Irish emigrated to Bordeaux to establish vineyards including the Barton family. France declared war on England and imprisoned winemaker Hugh Barton and his family during the Reign of Terror. Once released, they fled and returned to Ireland, leaving his vineyard to his partner Guestier. Their label Barton & Guestier, often known as B & G, still exists today. Once back in Ireland, Hugh Barton doubled his fortune while exporting wine during the Napoleonic wars. Barton designed a home inspired by French château Louveciennes to live out his days in peace along the River Liffey. Straffan House, the residence that is the base of the hotel was built in 1832 by Barton. 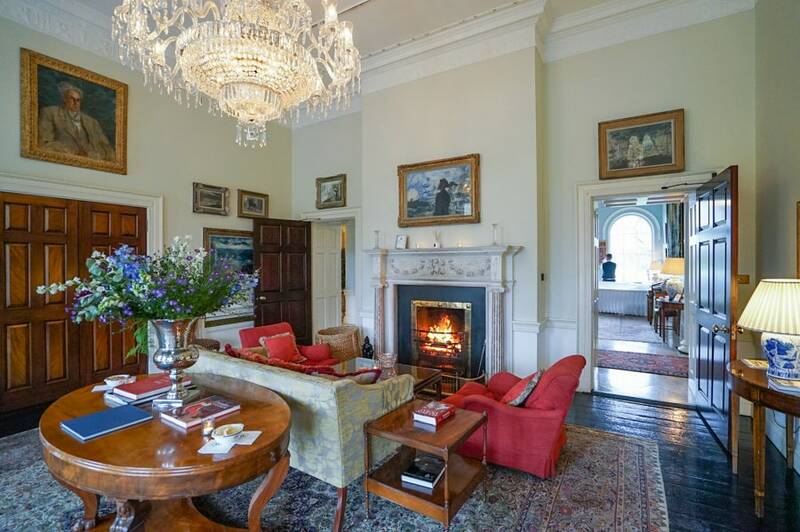 Straffan House was sold to several owners after the Barton family lived in it for over a century. 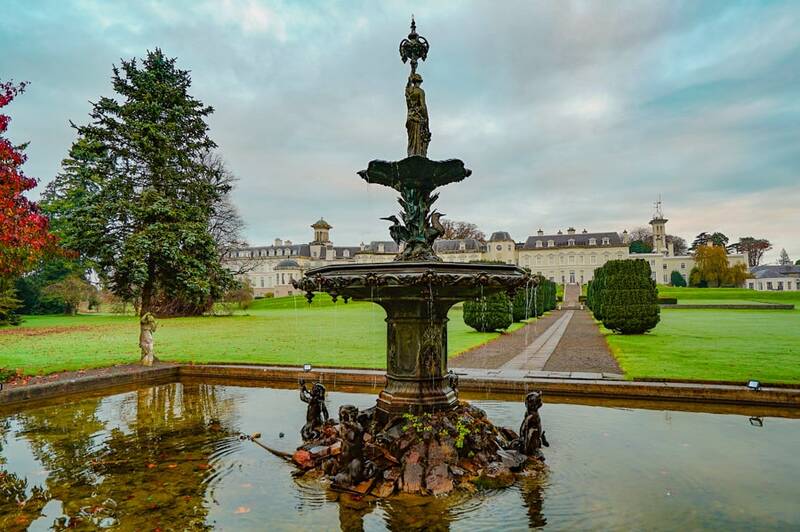 The Jefferson Smurfit Group purchased the château in 1988 and opened the property at The K Club in 1991. Dr. Michael Smurfit eventually became the sole owner in 2012 after it celebrated its twentieth anniversary. 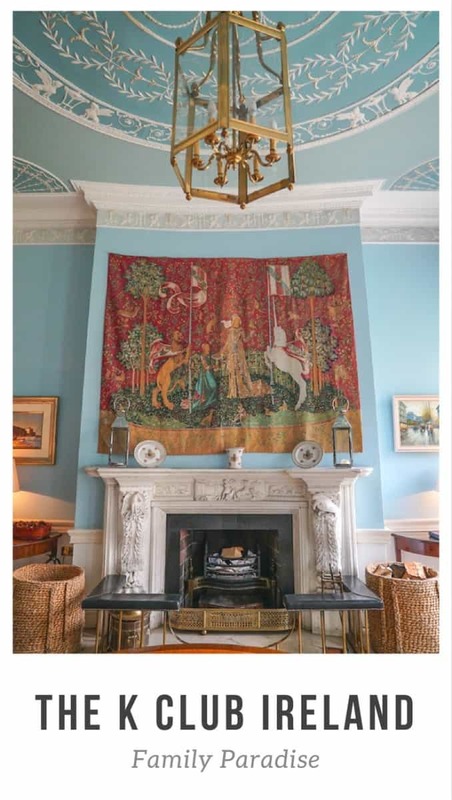 Smurfit, a passionate connoisseur and collector, had a vision to restore the home true to the roots of Hugh Barton while showcasing the eclectic range of his own personal collection. European masters in painting and sculpture display alongside his horse racing successes, decorative objects, and Irish historical documents. One of my favorite formal rooms in the hotel is adorned with Jack Butler Yeats paintings including a portrait of his famed poet brother, William. The Yeats room contains several paintings of the Irish artist as well as a portrait of his brother William Butler Yeats. No two rooms are alike at the K Club, and there are several options for families, including one and two bedroom suites. Rollaway beds are complimentary for families. 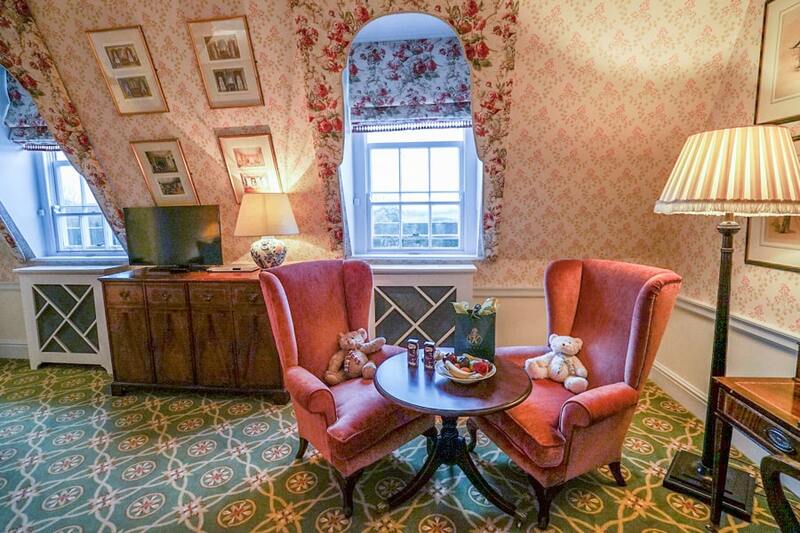 A teddy bear welcome for children at the K Club. 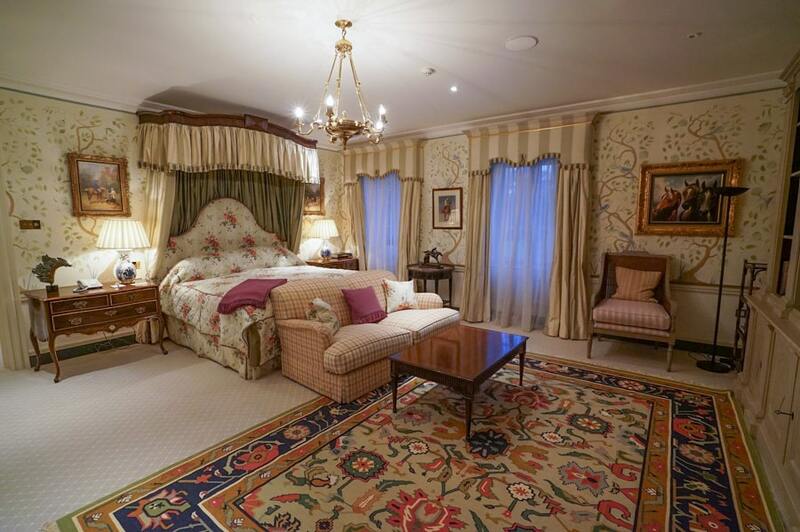 We had the privilege of staying in one of two Presidential Suites that came with two bedrooms and a large connecting living room. The square footage was ridiculous, and one bedroom suites would feel palatial compared to most. The East Presidential Suite is the most ideal choice for families and was also the original master suite of the residence. A key feature was that its central window of the suite aligned with its fantastic gardens. The views were flawless below in perfect symmetry. Views of the formal gardens were glorious. Because the hotel’s age is quite young, baths and other amenities were modern and luxurious. Numerous pieces of antiques in the bedrooms, mixed with modern built in closets, ensured ample storage. 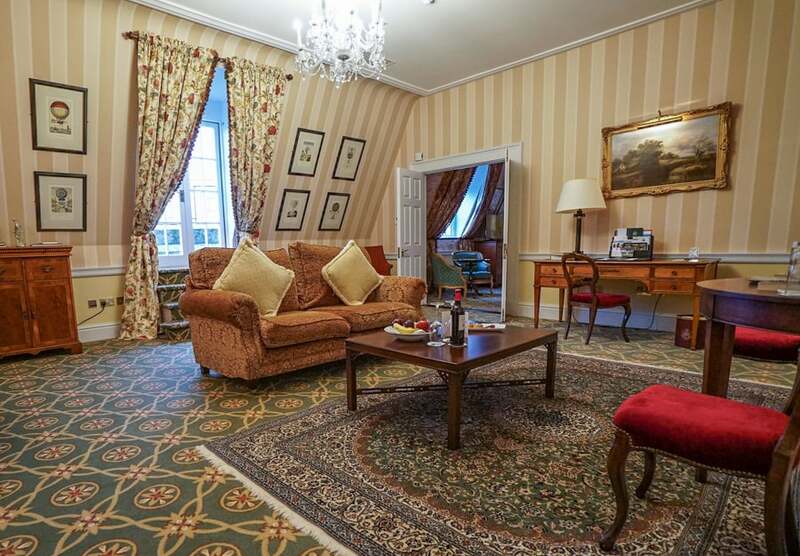 The perk of the Presidential Suite was how well it was suited for families. The twin-bedded room felt like the nursery in Mary Poppins with cheery floral wallpaper and traditional furnishings. The hotel welcomes children with cookies, juice boxes, robes, and beautiful teddy bears. 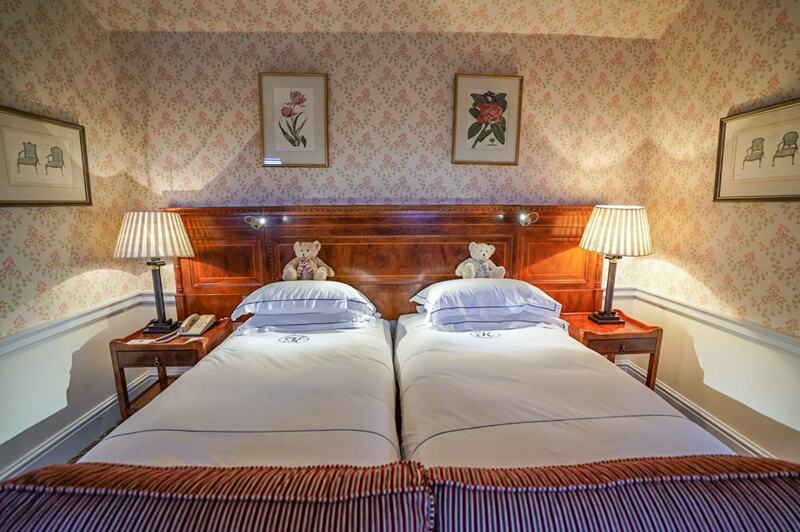 The children’s twin bedded room in the East Presidential Suite. My own children will long remember this as one of their favorite hotel rooms. My daughter, a voracious reader, found a perch next to the bathtub by a bathroom window. My son discovered empty space between the wardrobe and the wall and created his own secret fort. During all of our down time, they ran to their claimed territories. The Master bedroom that belonged to Hugh Barton. A beautiful breakfast buffet is complimentary and a perfect way to start the day. 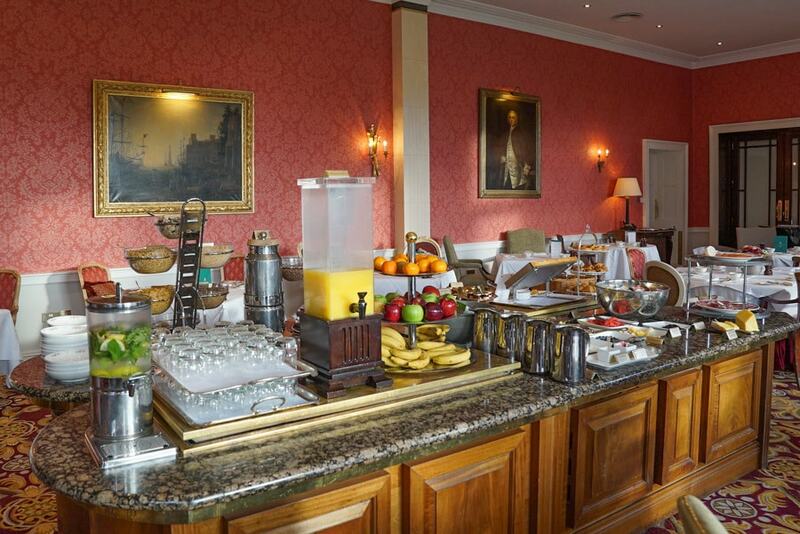 Traditional Irish breakfast choices are there as well as an impressive array of gluten-free options. The hotel created eggs to order for my children who like them a specific way. Lunch options include the more casual lounge, the golf club house restaurant Legends, but my children requested the hotel’s afternoon tea every day. Afternoon tea at the K Club. 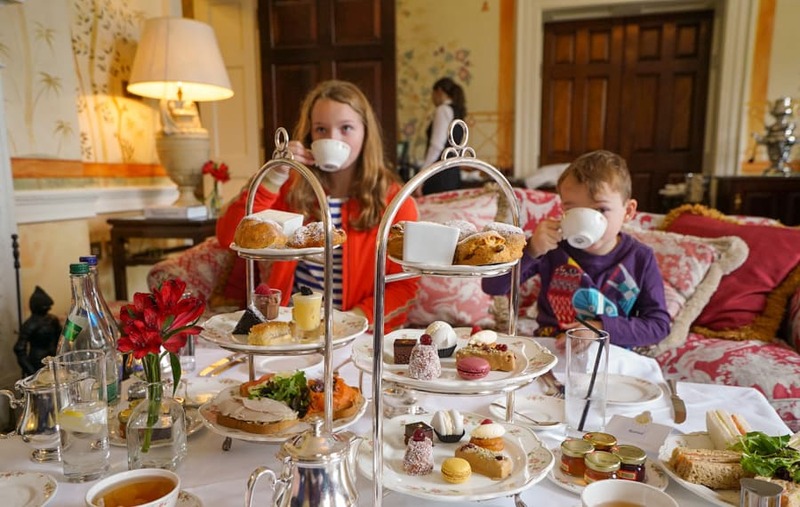 Served in the Chinese Drawing Room, complete with hand painted wallpaper, a roaring fire, and plush chintz down cushions, my children had the innate knowledge to pull out their best behavior and savor the delights they saw and tasted. With notice, the K club made a spectacular gluten-free afternoon tea for my husband. Named for the stallion that created the modern thoroughbred lines, The K Club’s signature restaurant displays a collection of equestrian portraiture on its deep coral brocade walls. It is all old world luxury here. Dinners feature a continental menu with locally sourced ingredients. We enjoyed risotto, Atlantic prawn tails with garlic butter, goat cheese and candied walnuts with honey pearls after the nightly choice of an amuse bouche. During our stay, we tried a variety of fish entrées and we found them all to our liking. For dessert we always asked for selection of the house made ice creams, which were spectacular. 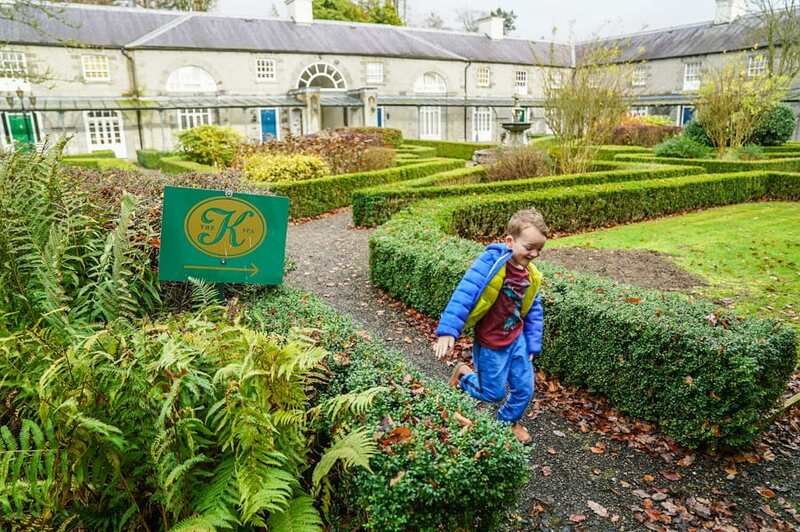 What’s so impressive about the restaurant (and the K Club in general) is how family friendly it is, despite its very formal and traditional feel. Their children’s menu includes all of the pizzas and pasta dishes you could need to satisfy your kids. Those in the know arrange for a private tour of the wine cellar. 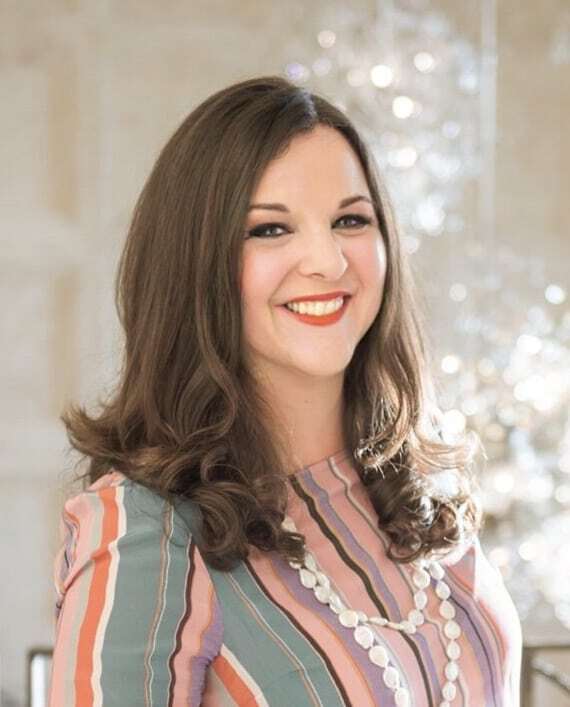 Sommelier Lisa O’Doherty has managed the cellars of the K Club for the last fourteen years and oversees an impressive collection of Bordeaux to satisfy the most discerning collectors. The K Club has a fine collection of Petrus, the most expensive Bordeaux on the market, and dinner guests can enjoy hard to find vintages, including the 1982 for 10,000 euros. Lisa personally oversees the creation of the house wines in France, and her suggestions for our meals were spot on. The passion and pride she has in the collection illustrates how successful owner Michael Smurfit has been in creating a modern hotel that honors the Bordeaux producing legacy of the Barton family. The K Club has their own babysitter whom they schedule for hotel guests. When we were told “Phil” would arrive that evening to watch our children before dinner, the name did not match the lovely grandmother who walked into our suite. My six-year-old son was captivated by her Irish accent and smile and talked with her for three hours straight. Many families have tried to take her away from the K Club because they’ve been so delighted with her care. We were, too, so we asked her to return our last night so we could dine once more at the Byerley Turk for a decadent adult meal. At the golf club house, there’s the K Thai restaurant where we took the kids to enjoy more casual dinner. The resort shuttled us over to the meal, but once we figured out where it was, we enjoyed a walk back to our room through the gardens over a bridge covered in twinkle lights. We paused to appreciate the fountain illuminated in the moonlight. Our days were full at the K Club. After breakfast, the gardens beckoned us for a brisk walk in the fresh air accompanied by birdsong. As we passed a man fly fishing, we entered a fairy village that was completely charming. 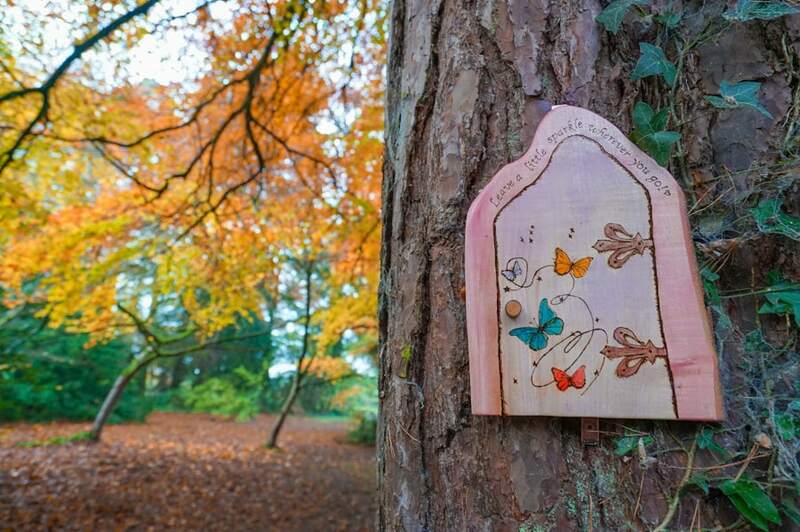 Surprises around every corner in the woods of the fairy village. The K Club loans bicycles for use, and we explored further, reaching the helicopter pad. In the warmer months, families can kayak. Although it was still offered during our stay, we found the thought of kayaking in 40-something degrees unappealing, so we look forward to returning in warmer days to enjoy this. The K Club Spa building features a fitness center and a large indoor pool and outdoor hot tub. 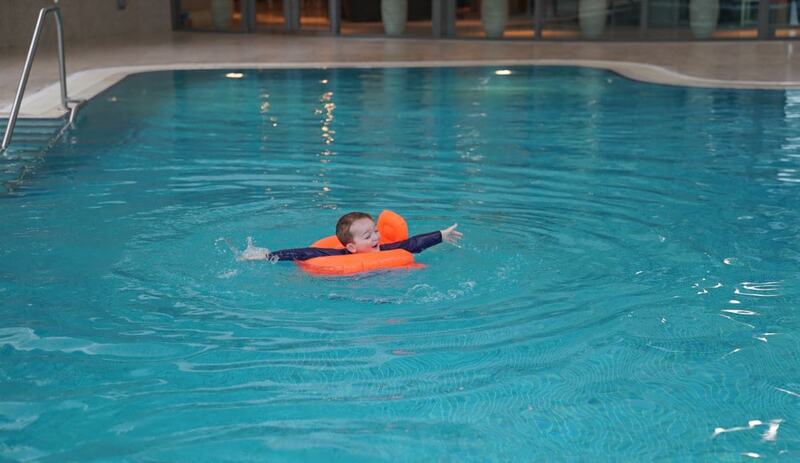 Children can swim at the spa between 10 and 12pm and 2 and 4 pm each day. Children are allowed during specific hours for family swimming, 10-12pm and 2-4PM. The locker rooms are of a more practical nature to accommodate guests using the pool, so the pampering for spa guests really begins with the spa lounge. The Spa product lines are primarily Voya, an organic Irish line, and Carita, a Paris-based line used at several other luxury spas. The body treatments at the spa are almost all seaweed-based for purification, cleansing, and exfoliation. In fact, one of the unique treatments at the spa is to step into one of their copper bathtubs and cover one’s self with detoxifying sea weed. The spa also offers a Razul room where guests take themselves with mineral rich muds and relax while they penetrate the skin. My husband and I were only able to squeeze in head, neck, and shoulder massages to help with jet lag, and we both felt our technicians were incredibly competent. The resort is primarily known around Ireland for its golf, and the Arnold Palmer-designed Ryder course hosted The Ryder Cup and several European Opens. The newer Smurfit Course was also designed by Palmer in complete contrast to the original course to give golfers two contrasting playing experiences. HEADED TO THE WILD ATLANTIC WAY? There are new tennis courts, and the clubhouse offers balls and racquets for play if you don’t bring your own. 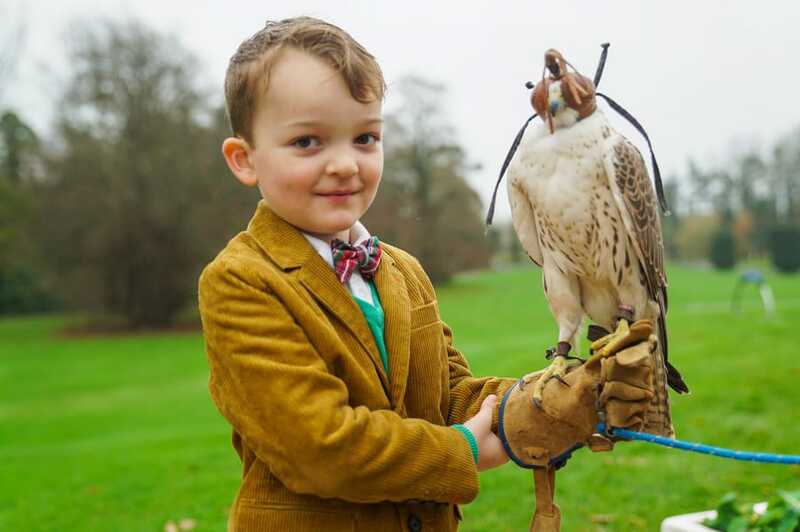 Our first venture into falconry proved to be filled with experiences and delights we will remember as a family for the rest of our lives. 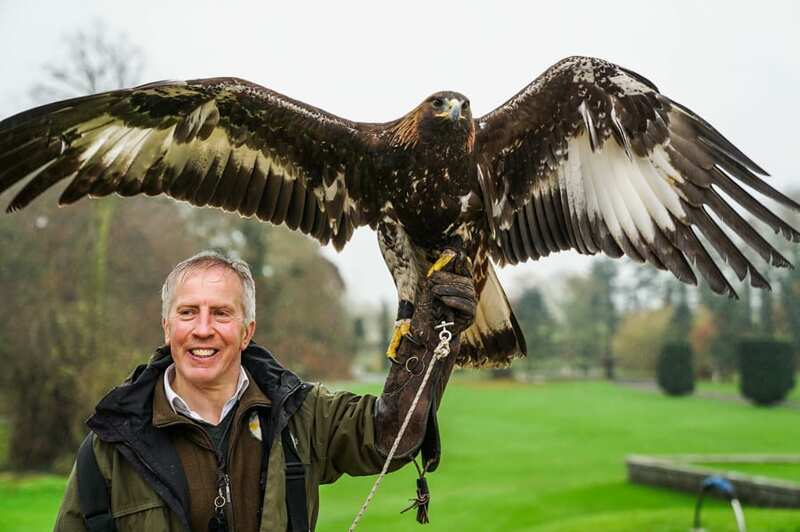 The falconry is provided by Brian, a retired firefighter who has a deep passion for keeping predatory birds. He shares his knowledge with guests during an extensive experience that’s interactive and educational. 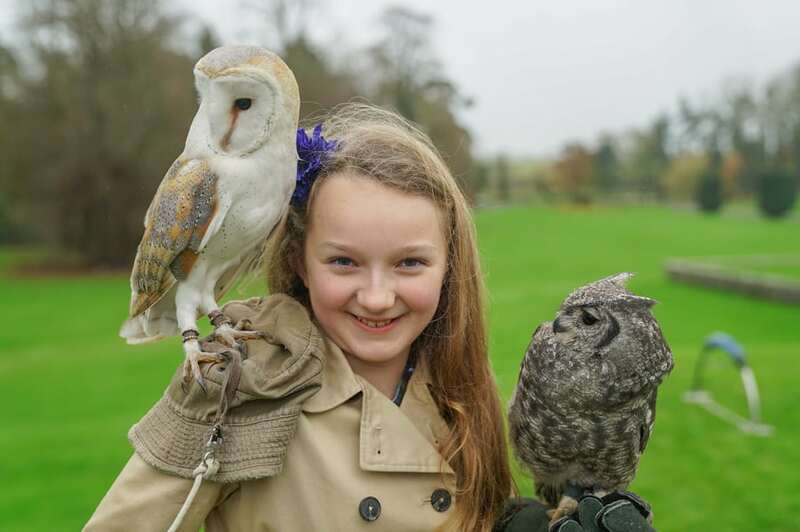 He starts with his owls who are gentle and enjoy handling. We learned that happy owls do a cute little back-and-forth dance while perched on a wrist. From there we moved on by greater wing expansion size: falcons, hawks, and, finally, eagles. Brain’s passion for his own predatory birds will fascinate you and your children. My six-year-old son needed to adjust to the experience a little while my daughter found it captivating from start to finish. My children beg for a pet owl now. This felt like nothing we had ever done before, and both my children immediately ranked this experience over the Harry Potter Studio Tour in London on the same trip. 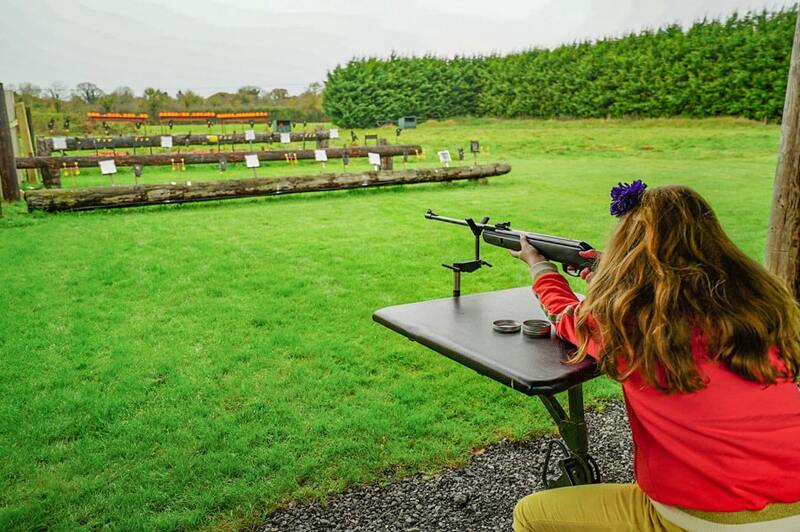 The resort offered us a transfer to the nearby shooting range at Abbey Field Farms that also houses the stables for riding. We enjoyed both archery and air rifle shooting under the extremely guided eye of our instructor, who had my kids hitting targets quickly. 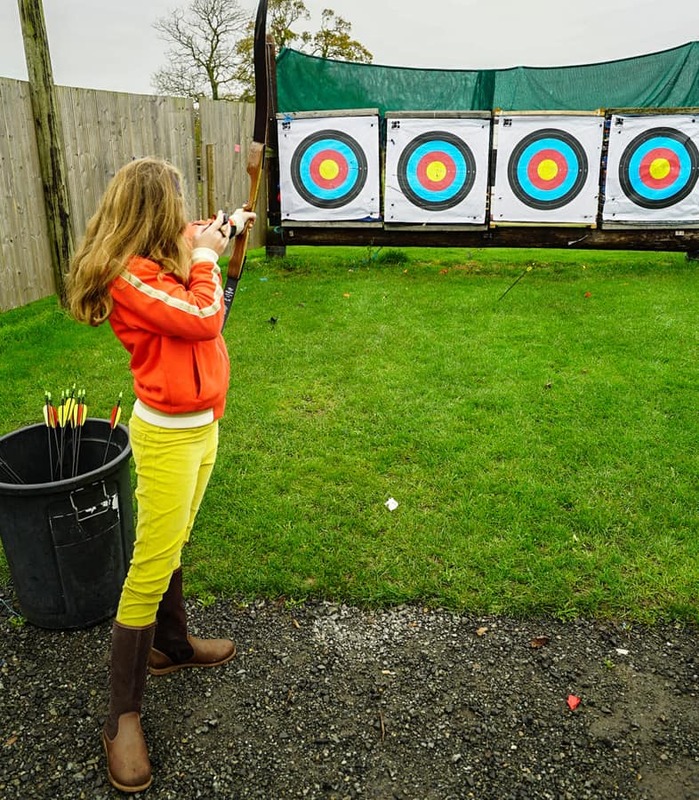 The Hunger Games series has made archery incredibly popular with middle school aged girls. 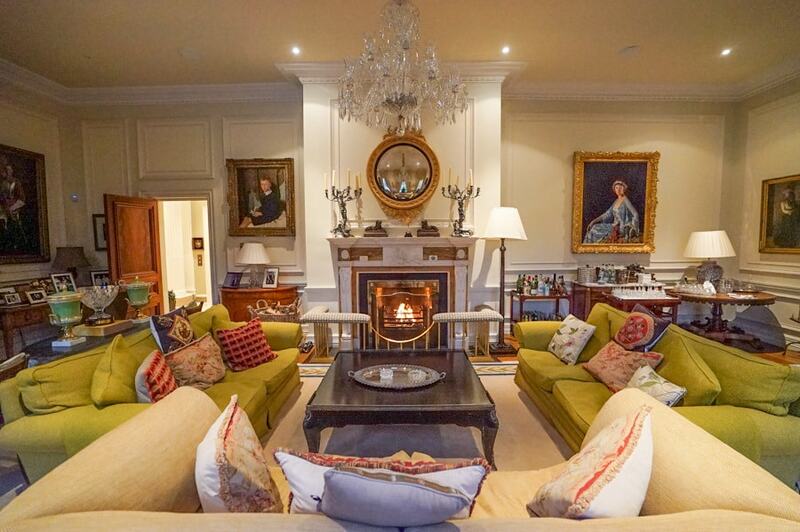 Named after the original K Club residence, Straffan House is a private home available to rent for large groups, ideal for a large family trip when the grandparents want to gather everyone together. The Straffan House is a private rental with ten bedrooms and lots of areas for socializing. 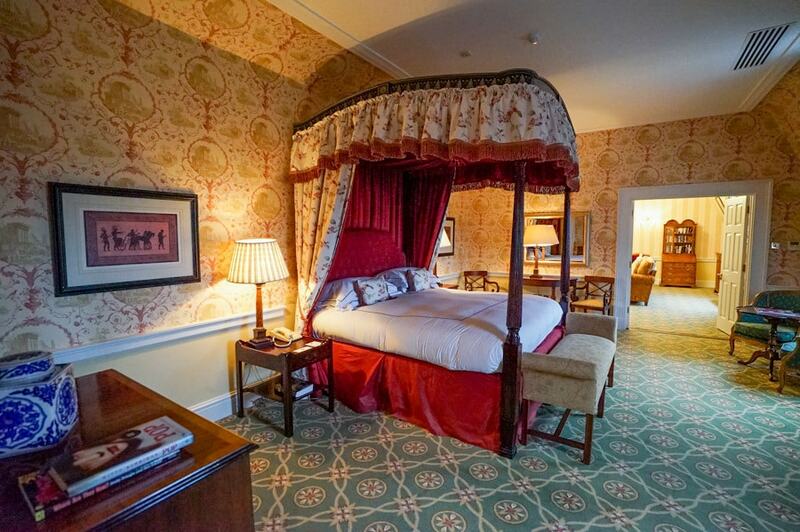 It operates as its own private hotel within the K Club. Straffan House guests have their own dedicated staff of a private chef, concierge, and House Manager but have easy access to all resort amenities, but you may find you don’t need them. One of the master suites at Straffen House. Others are more casual and appropriate for children. The home is set up perfectly for the multi-generational trip with 10 bedrooms ranging in their décor from formal to casual bedrooms suitable for children. There are many features that make this the fantasy family getaway including the indoor swimming pool in the basement, the game room, the children’s playroom, and a spectacular indoor theater media room for viewing movies. 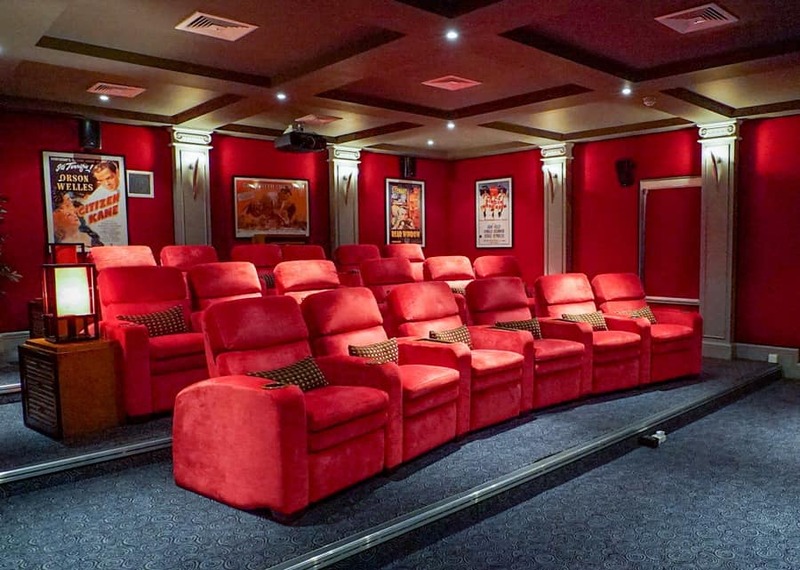 The private movie theater at Straffan House. For grown-ups to feel like they’re at their own magic play land, the swimming pool contains a swim up bar surrounded by a spa and fitness center. Despite being in Ireland, the design reminded me of homes I know in Dallas, Texas. When I mentioned this to staff at the K Club, they commented that the home is very popular for Texan families to rent. Though filled with spectacular art and antiques, the building is relatively young. What it lacks in authentic historic charter, it makes up for the best examples of modern comforts. 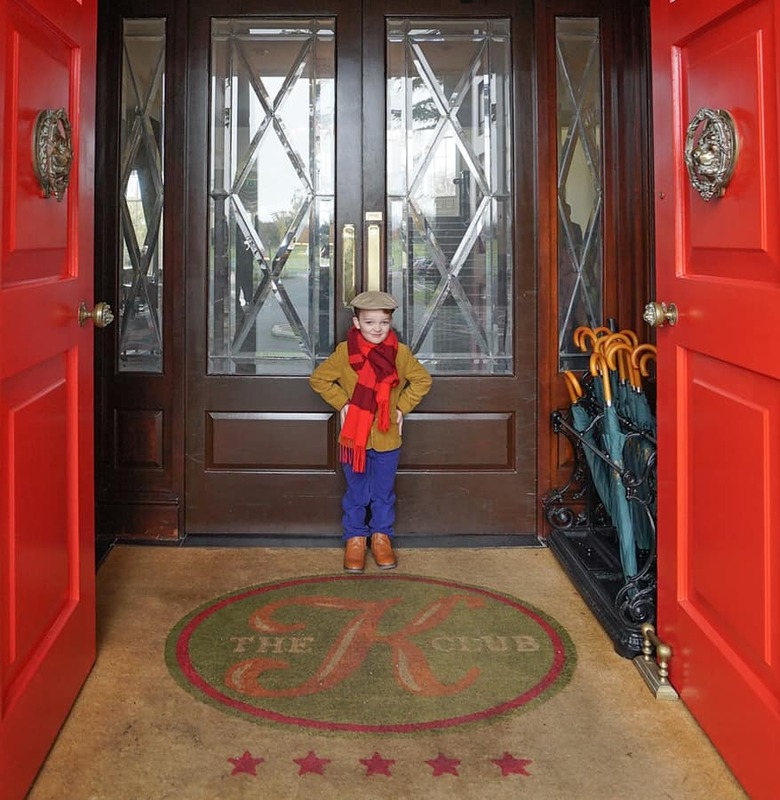 The K Club left a huge impression on my whole family. It raised the bar very high for what an estate resort can offer families. The size of the hotel meant the service felt very intimate, like when you walked by the front desk and they say hello, you know they really know who you are, what you are doing, and how they can help. My children weren’t immune to the beauty of what they say around them both on the grounds and in the hotel. They were enchanted. 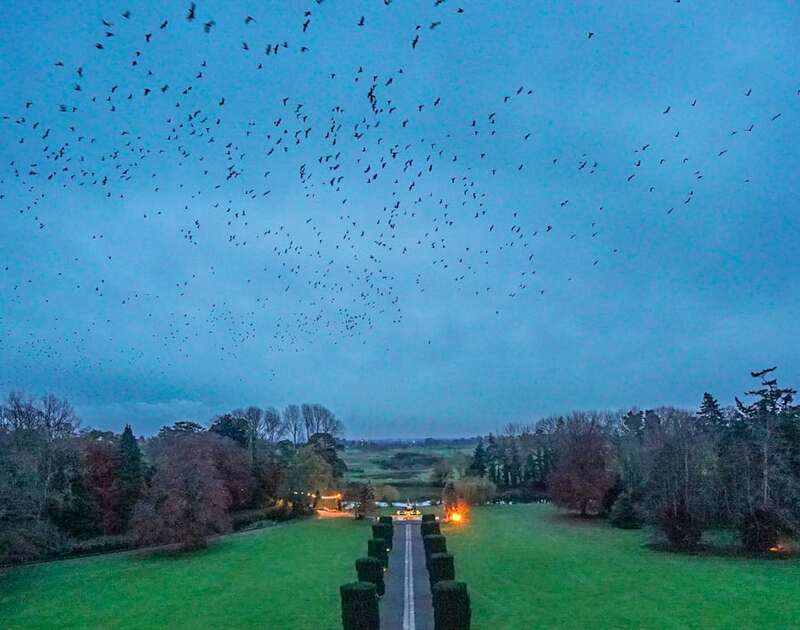 Every day at dusk, birds fly in and out from the trees, thousands of them, filling the air with their black shadows and the night with their song. It makes you love tweets once again. My kids and I stood on our balcony watching the phenomenon that captured our focus and imagination more than any fireworks display ever could. Check your dates for rates at the K Club. Although we were guests of the K Club, these opinions are entirely my own. Taking the Family To Europe? I’ve flown almost a million miles in my life and never thought about travel insurance until recently. I can’t help but focus on increased incidents of terrorism and extreme weather. For families like ours who travel frequently for work and pleasure, it made sense to purchase an annual family plan. The benefit of annual plans is that you pay one fee to cover everyone in your household over a twelve-month period. Each trip has the same level of protection, whether it is a work trip, ski trip, spring break, cruise, or a trip to Europe. The price of our annual plan, AllTrips Premier, came to $450 for our family of four. Prices are based on the ages of the members insured. Change fee reimbursements, emergency medical coverage and transportation, and delayed baggage coverage are those words you don’t love until you need them. $45,000 in rental car protection certainly exceeds what the car rental companies offer at the counter. Hopefully we don’t encounter any issues on our journeys, but I am delighted by the comfort that our insurance policy offers me. Read more about the Allianz AllTrips Premier Plan. Though they are a sponsor, Allianz had no oversight in any content. These opinions are mine after researching family travel insurance and purchasing one of their plans for my family.